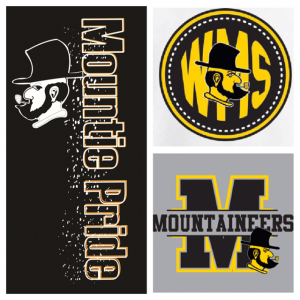 Facebook – Join our Mountie Parents Facebook Group page to receive current information on happenings at Waynesville Middle. Send a request to join. PTA shirts are here and are for sale in the main office. We will also be selling them at some home ballgames. We have a number of different designs and styles. See the photos below. They are all super cute! Short-sleeve shirts are $15, and long-sleeve are $18. Gym bags are $10. Get ready for the Penny War! The war runs Oct. 2-6. The winning grade level will win a super fun party that includes free time, pizza and music! Parents, make sure your students bring in all the change they can find.